I'm finally back from camp, and although it was so amazing to be back, I am also very thrilled to be back at home to rest. It was my first time at Camp Whittle in Big Bear with the San Pedro and Peninsula YMCA in five years, so I was so excited to come back as a camp counselor. When I went to camp as a kid, I had always told myself that I would keep coming back. After my first year of college, I decided that the timing was perfect. My co-counselor, Victoria, & I! When I went to my first camp meeting after missing most of them due to being in Peru and another camp, I suddenly felt very out of place. I know that people will always come and go, but I was surprised to see how many unfamiliar faces filled the room. Mostly everyone was already well acquainted with each other, leaving my sister, my friend Samm, and I with each other. However, I was thrilled to see two old camp friends I made when I was a camper myself so long ago. It reassured me that it was a good thing to be back. To make it short and simple: this week wasn't as good as it could've been due to my co-counselor and I having 7 out of 8 of the girls being probably the most disrespectful and selfish little girls I have ever encountered. We weren't sure if it was just all of them being together or if they're really like that at home, but it was definitely a hard week. Regardless of all that, however, I must say that for one second I never regretted making the decision of coming back to camp. However, what made it easier was having the support of my co-counselor, my counselors-in-training (CIT's) (we all suffered together), my friends, and the directors. It was comforting to get encouragement, suggestions, or similar stories from others, which reminded me that I wasn't alone. I also was able to get my brown rag and have the privilege to tie my sister's silver rag. The rag program is a program that the YMCA camps do where each person sets certain goals for themselves as they move up in the rag program. These goals are meant to be long term, lasting either a year or longer, maybe even 10. 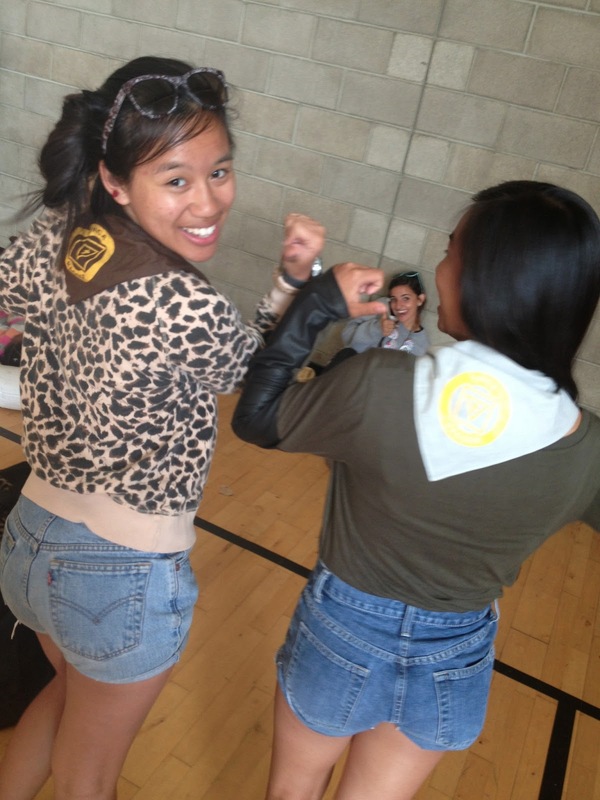 My friend Yasmine, one of my first friends at camp six years ago, was the one who had tied my brown rag. I am so blessed to have her in my life and still have kept in touch with her throughout the years. Pack more than you need! I know that this sounds like an obvious one, but I was trying so hard to pack lightly that I just thought I could reuse my jeans and sweaters over and over again. WRONG. With all the dust and dirt that comes with being at a camp in the middle of the forest in the mountains, you need to pack adequate changes of clothing to deal with the dirt. Thank goodness my sister let me borrow a sweater and pair of shorts from her to wear for the week. Go all out! When you're a counselor, it is already a given that you need to actively participate in any and all camp activities. That being said, go big or go home! When you dress up for a themed day/meal, dress all out! You may look or feel stupid, but that's the beauty of camp. You shouldn't care about what others think of you because it's supposed to be a place for people to come together and be themselves. I think this can also apply to daily life as well. I've been learning a lot lately how important it is to put effort into everything you do, rather than making something mediocre just to say you did it. Everything has so much more meaning and feels so much more worth it if you do things that way. Besides, people always say, "If you feel stupid doing it, then you're doing it right." Patience, my love. Being a camp counselor really teaches patience. If I could only say one thing I'd learn from being a camp counselor at the two separate camps, it would definitely be patience. Whether it is with the kids, with your co-counselor, with an activity, or with the week in general. 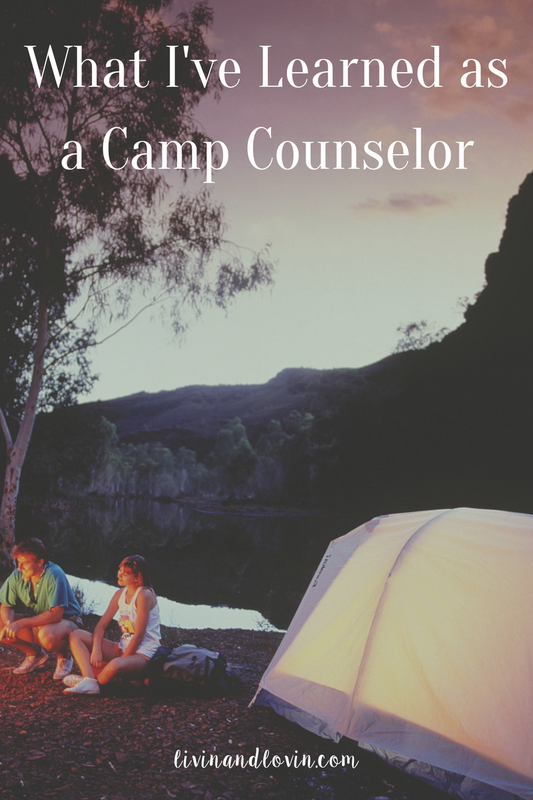 No matter what goes on in your head as a camp counselor, it is really important to remind yourself constantly that eventually the time will come for whatever it is that you're waiting for. Disciplining myself not to say anything offensive or overtly hurtful to my campers was honestly a struggle that I had to fight at both of my camps. It was all good for me in the end because I'm more familiar with the way that kids work and am slowly learning how to deal with it. Kudos to all you parents out there for that, haha. My summer still isn't over, but it's been such a growing experience for me the past couple of months. Just when you think you know yourself, you learn something new. We're Young & in Love, so what?